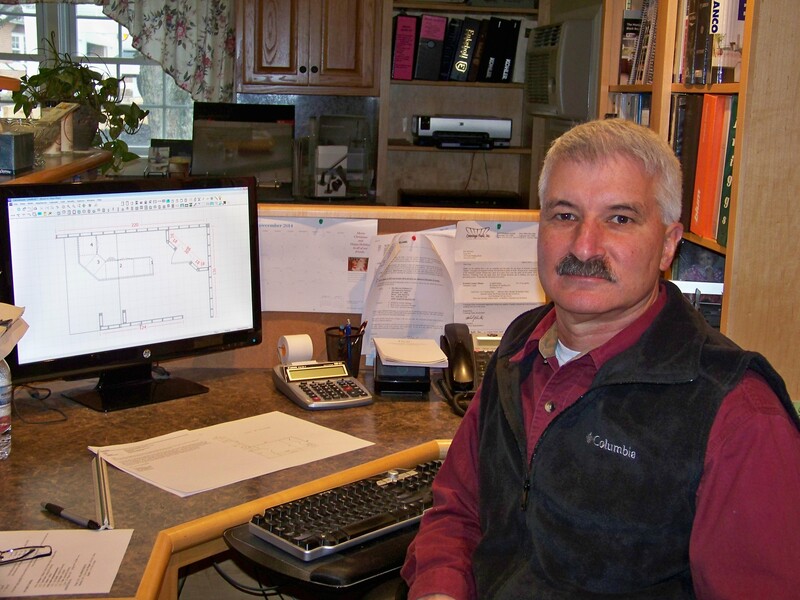 Today’s profile highlights Greg Weir from Weir Kitchens in Dover, Pennsylvania. Greg: I have been interested in design since we started our family business 38 years ago. But since 2002, when we computerized our design/build process, I have had to work exclusively on design and sales. Greg: It has been several years, but we did the cabinetry as part of an old stone mansion restoration. From design to completion, our build/installation took a total of two years. Greg: One thing about trends: If you’re in business long enough, you find trends are cyclical. Greg: As far as cabinetry goes, I do like the simpler styles and straight lines that are currently popular. This will, of course, change over time as people’s tastes change. 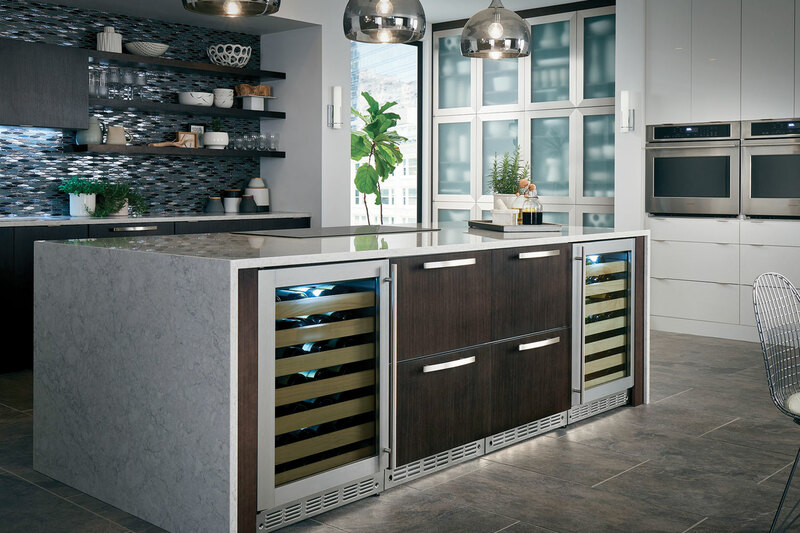 Greg: We have been offering Monogram appliances with our kitchens for at least 12 years, so the more detailed information provided at the Monogram Experience Center (MEC) was very helpful. But the best thing I learned in Louisville was how proud the GE employees were of their USA-built products. From the design group(s) to manufacturing to training and promotion at the MEC, it was obvious of the personal ownership they took in building a quality product. Today’s profile highlights Katelyn Brands from Design Interiors, Inc., in Mitchell, South Dakota. Katelyn: Whenever my family and I went to a restaurant, or I attended an event at a friend’s parent’s place, I would be more inclined to pay more attention to the furniture layout, finish or lighting selections and how the space was used than to participate in conversations. I never knew this exterior seemingly shy non-attentive attribute of mine would later become an integral part of my career choice. One that I found at Alexandra Technical and Community College. Katelyn: The first project we were assigned in my interior design course course was to design a playhouse. The playhouse project was to be complete with a floor plan, lighting plan, construction plan, exterior elevations and an isometric exterior view; I thoroughly enjoyed completing this project and remember wondering if I would ever get to design a playhouse again in my life. It just so happens the first project I was assigned to draft for my new job at Design Interiors, Inc., was a playhouse. Katelyn: Glass and stone mosaic tiles for kitchen backsplashes! Katelyn: I am a new addition to the design world; having graduated in May; and I am excited to see all that it has to offer clients and myself! Katelyn: I learned so much about appliances, not just GE’s; but competitors products as well. The thing I enjoy the most about these seminars is the collaboration between designers (and architects!) and learning different perspectives about our field. 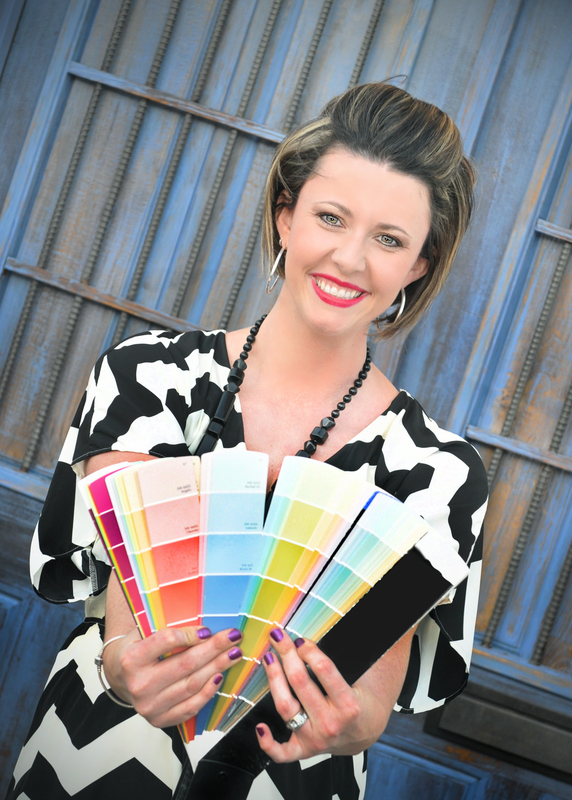 Today’s profile highlights Brandy Holden from Interiors in Design in Tucson, Arizona. Brandy: I was born and raised in Mobile, Alabama, where my grandfather and grandmother owned and operated a printing and graphic design business. Most of my family, including my mom, dad, and aunt, worked for the company but rather than being on the creative side of things, they were involved with sales and accounting. I can remember spending many days at the business and sticking my nose into the graphic designer’s desks, drawings and paperwork. At home rather than playing with actual dolls, I would design the Barbie mansion and make sure all details were perfect! I knew from a young age I had a creative mind and as I grew older through high school, I always seemed to be the one that led the charge when it came time to make prep rally banners and posters. After I graduated high school, I would be asked by adults if I would like to help select new paint colors for their home. I knew at this point I was destined to go into a career that involved design. I just wasn’t sure if it was going to be graphic design, fashion design, or interior design. Interior design prevailed when I applied and was accepted into The Art Center Design College in Tucson, Arizona, back in 2002. I packed a 24 foot U-haul, grabbed my sister, and we set out on a 1500 mile journey across I-10 to make a new life for me! SRFD: A recent project you enjoyed? Eva and I attended college together and have been working on projects together for the past three years. Eva and I signed this project last August 2013. To date it’s the largest residential project we have signed! It’s proof that after graduating 10 years ago from college, great things will come if you work hard towards a goal. When we first starting taking jobs, we basically took anything we could get. You have to do this to start somewhere and start building a name for yourself. Over three years we have put our best foot forward by listening to our clients wants and needs, building a team around us, and always holding our heads high and setting realistic goals for ourselves. By signing this particular contract last year, it allowed us to hire our first employee, Ashley Earnest, and also sign a lease on an office located in the heart of downtown Tucson. Since we have hired a design assistant, Ayla Marshall, traveled out of state for design jobs, and designed and appeared on three episodes of a home remodel show called Fix It and Finish It. Not too shabby for a year’s worth of work! From a design standpoint, this was the most creative residence to date that I have worked on. The clients are world travelers and have been to over 43 countries. Throughout their travels they have managed to collect many treasures/mementos but all of these goodies have managed to make their way to one of the extra bedrooms. When we did the initial walk through of the home, it was presented to Eva and myself that they wanted to be able to display all of their finds throughout their home but do it in a way that didn’t make the home look like a hodge-podge of collectables. After much thought on how we were going to take on this task, we presented the idea of making each room in the home feel as if you were in a different country but using a common design and aesthetic through tile, paint, and other hard surfaces. The clients loved the idea, and that is what we ran with over the course of a year. The clients were also open to being creative with tile design, use of wallpaper, and lighting solutions. We used columns from a palace built in India in 1919 to frame the entry of the home. We used a Japanese Altar Prayer table as a vanity cabinet for the guest bathroom. And as if that wasn’t enough, we designed a dragon to be cut out of faux iron, resin material to be suspended from the the living room ceiling! Needless to say this home is now a living piece of art…. that Interiors In Design created. Brandy: Metal tones, metal tile, anything that has an urban, rustic, worn, metallic feel. I love, love, love that GE Monogram is considering putting metal finishes such as Gunmetal and Copper into the line! Brandy: I’ve never been to any type of training on appliances, so it was really cool to see where and how appliances are made but to also get to observe up close all the features and benefits of the GE Monogram line. As cheesy as it may sound, it was wonderful seeing hard working Americans at work, on a factory line, laughing and chatting all while creating a product that will help change and improve the lives of appliance consumers. And one other piece of important info I learned: Louisville is the leading city in the production of disco balls! WHO KNEW!!! I also learned I do like Bourbon in fruity cocktails … Cheers to Louisville and the GE Monogram Experience team! Today’s profile highlights Adrian Galvan from San Antonio, Texas. 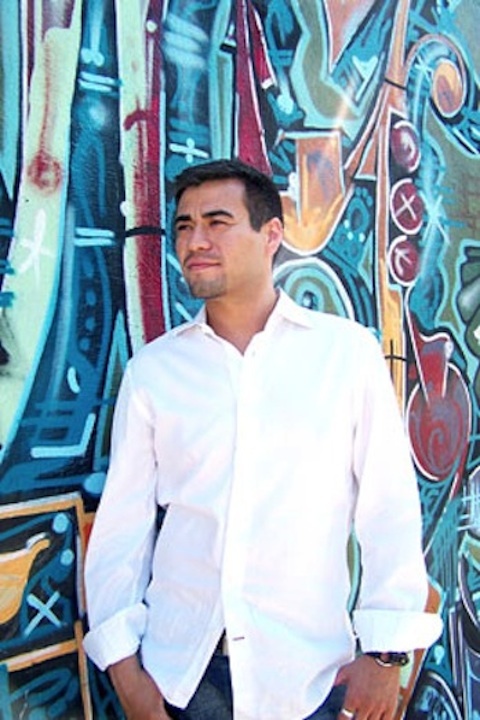 Adrian Galvan, recent designer participant at the GE Monogram Experience Center in Louisville, Kentucky. Adrian: My mom raised us to be creative out of necessity, we had to work with what we had. Growing up with a creative like her, there was always room to create something, anything! If it was a candy jar that was decoupaged with magazine cutouts, or making houses with craft sticks, there was always room to create. Bob Ross and Lynette Jennings were always on, and some sort of glue or paintbrush was always around too! I knew I was destined to create! Adrian: I’ve recently enjoyed the challenge of creating a focal wall in a commercial space. The space needed something that was visible from all spaces, so I mounted multi-size, hand blown glass plates to reflect light, and add color to the space. The result was a “wow” that was a huge impact, and a focal point! Adrian: Chevron! Can we all move on please? Adrian: The color combos of Black and Gold, love the contrast and reminds me of extreme High Fashion! So hot! Adrian: That GE Monogram really and truly is the best line there is out there! Love the fact that it’s made in the USA, and very impressed with the market research done to make these products stand out, and be adaptable to a mass audience. I heart the Advantium, it’s my first appliance crush!